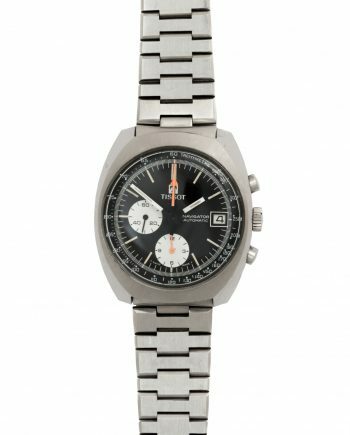 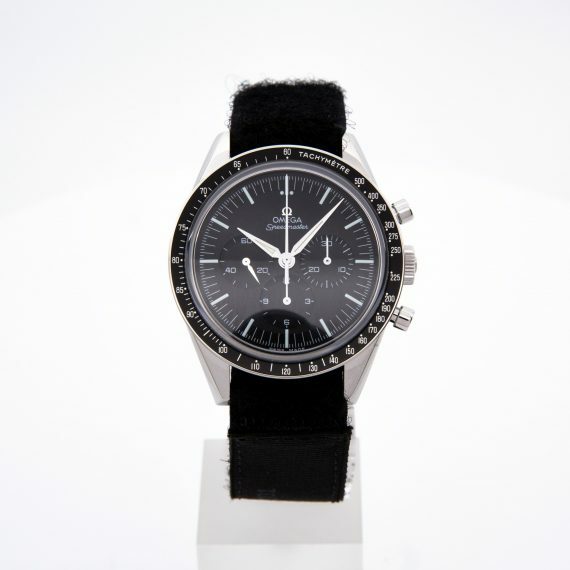 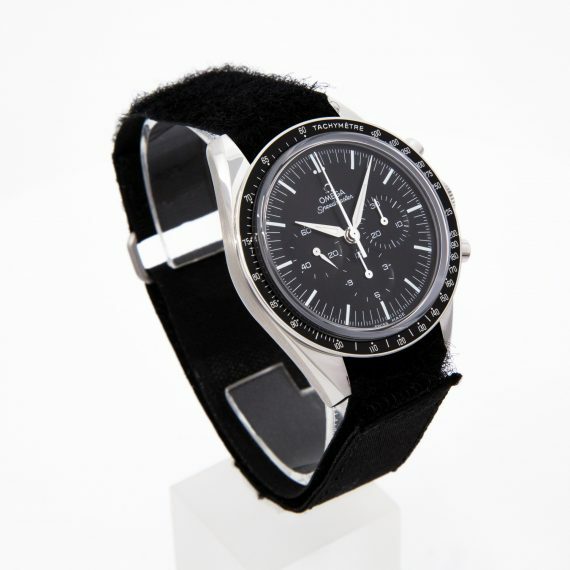 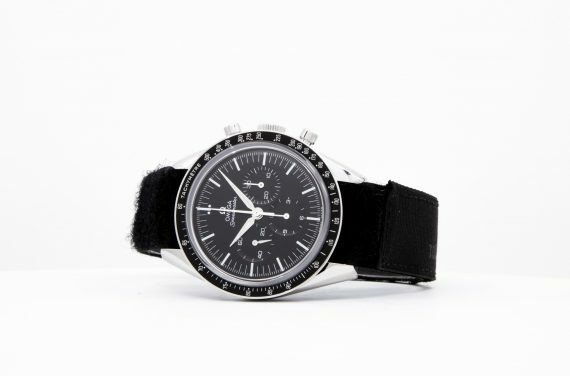 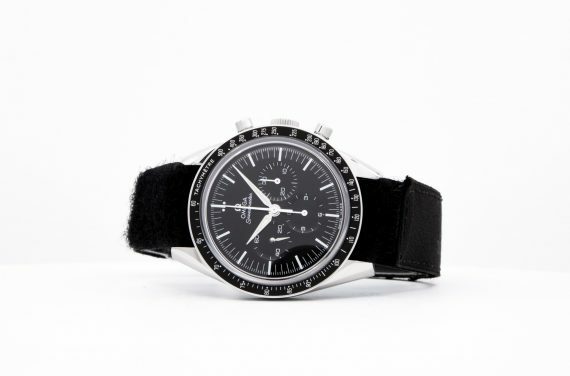 The Speedmaster Professional is a watch that has the spirit of the original Moon watch in a smaller 39.7mm size. 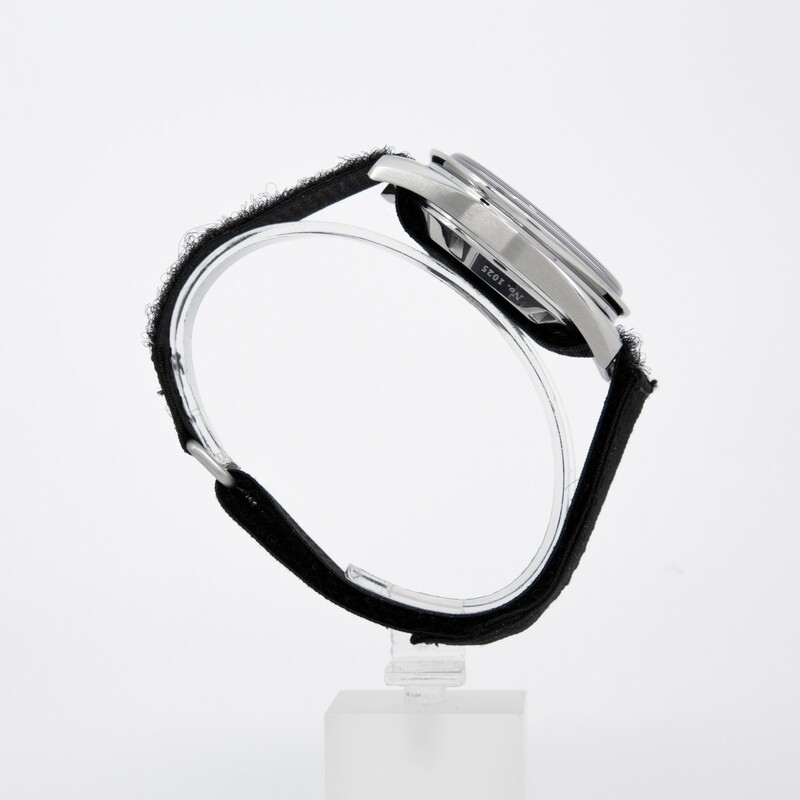 The model uses the cal. 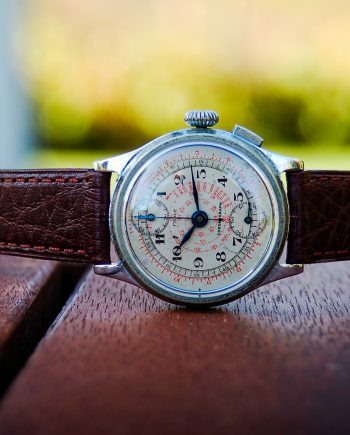 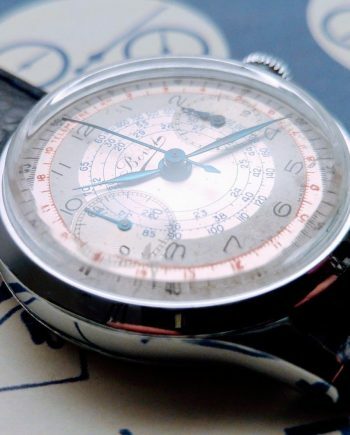 1861 hand wound in-house chronograph movement with 18 jewels and 48 hours of power reserve. 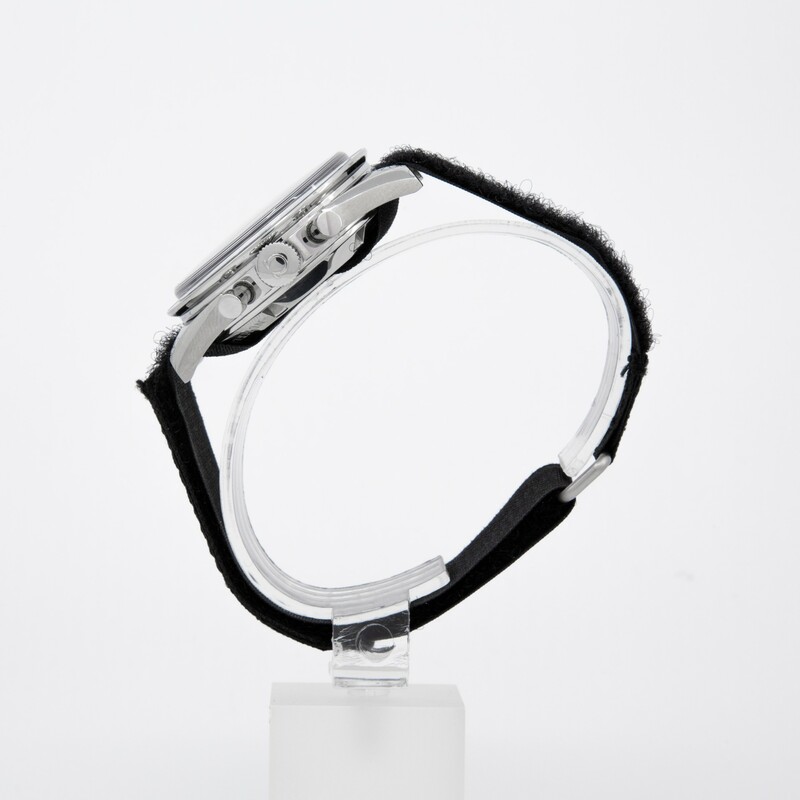 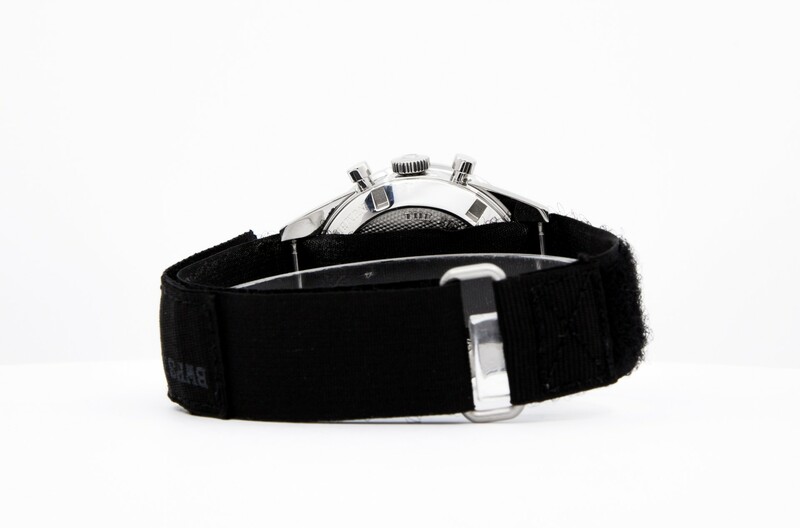 Our offering comes on a textile NATO strap and is in good condition for a used piece, there may be some small hairline scratches which will be hard to spot with naked eye. 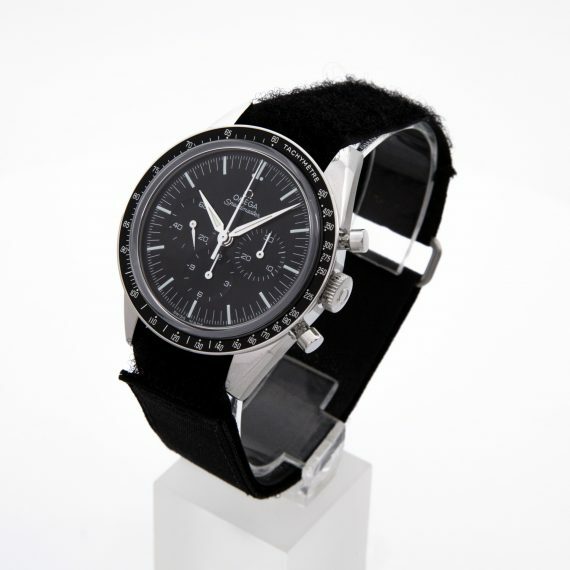 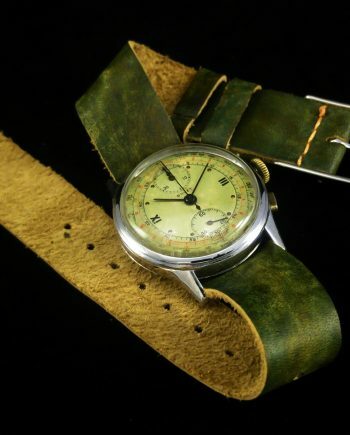 Furthermore it also comes with an aftermarket leather strap and an original Omega buckle. It comes with no box and papers, covered by a 1 year of limited warranty from ChronoTimepieces.